MLS# OC19080972 - Irvine, CA 92620 - Pat & David Fogg | David Fogg Real Estate, Inc. Courtesy of Coldwell Banker Platinum Prop, Mike Dunn. You must go to 1TwinBranch and take a tour! 1TwinBranch is located in the 24-hour guard gated community of Trailwood in NorthwoodPointeIrvine and boasts one of the best floor plans and locations in the entire community. Sitting at the end of a quiet private cul de sac, 1TwinBranch also features one of the most functional and valuable floor plans ever designed. The turret style entrance with cathedral high ceilings, combined with the spiral staircase, offers guests a feeling of grandeur and elegance. The kitchen opens to an expansive family room with great views of the backyard waterfall spa and palm trees. The formal dining and living room are combined to show off an entertainers entry area with plenty of room for a piano and extra space for guests. The upstairs features a children’s wing with 3 bedrooms and Jack/Jill bathroom separated by an office and leading to the master suite. The master suite features a retreat area and a spacious yet comfortable bathroom area with large walk-in closets. With an extra long driveway and 3 car garage, split between a 2 car and a single car, this Mediterranean style home offers options for extra storage or a casita office or a 6th extra bedroom. The floor plan itself consists of 5 bedrooms (one guest suite downstairs), plus an office, 3.5 bathrooms in almost 3,500 square feet on an almost 7,200 square feet lot. Please see attached for a detailed list of upgrades. Also MR tax due to expire 2020. Please, send me more information on this property: MLS# OC19080972 – $1,748,000 – Irvine, CA 92620. 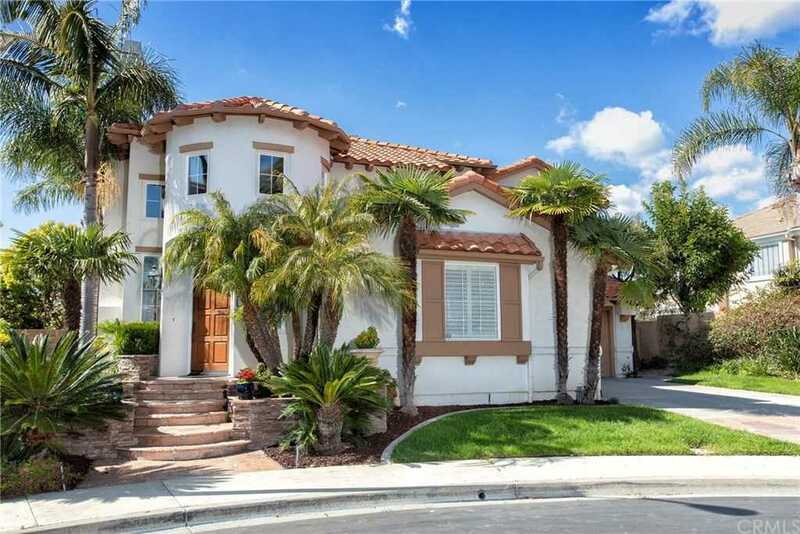 I would like to schedule a showing appointment for this property: MLS# OC19080972 – $1,748,000 – Irvine, CA 92620.